See, their work isn’t so hard! 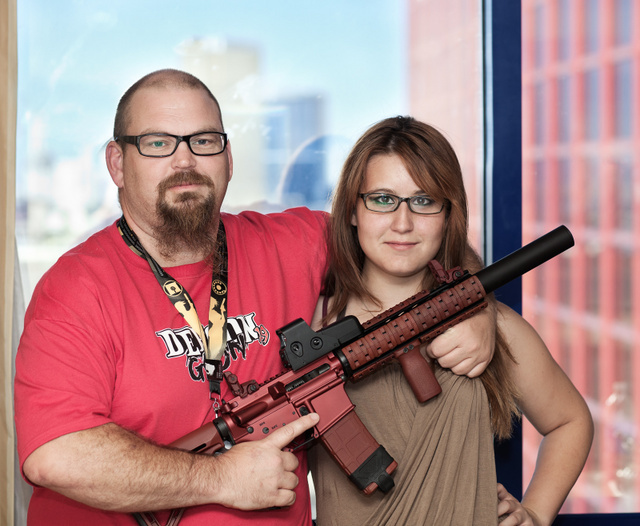 This entry was posted in interesting people, rifle and tagged AR15, Defcon, goon, Las Vegas, red. Bookmark the permalink. Cool AR. Red being the wife’s fave color, I imagine she’d like one like that. Is it from a shop, or purely custom? I wonder where they got the Magpul MOE custom colored stuff at.Maybe its coated with SEM Vinyl spray. Magpul FDE furniture can be dyed red and is what we did to get the red Magpul items.